Xinxiang Xindong Light Industrial Machinery Co., Ltd.
GC Machinery offers services such as installation, commissioning and operator training. Please feel free to contact us if you have any product or services related inquire. 6. Complete quality control system, working with the production line also can work separately. 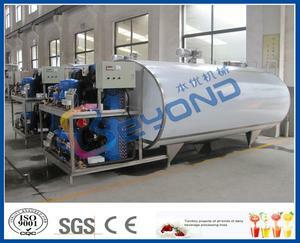 It can be devided into vertical milk cooling tank and horizontal milk cooling tank according to the tank capacity. Milk cooling tank structure The milk cooling tank is mainly composed of the body, agitator, cooling unit and electric Control cabinet. This kind of dimple jacket will send the coolant to all part of the milk cooling tank is shortest time. 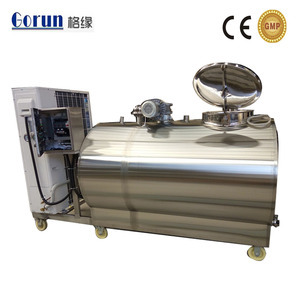 2016 High Quality Factory Price Top Selling milk cooling tank Application: For the cooling and storage of fresh milk in the dairy farm, milk collection station, dairy processing plant. Capacity: Available from 1 ton to 12 ton at customer's option Feature: 1. Direct, fast, large size cooling by the wall of the tank. 3. Quality compressor 4. Reliable intermediate protector to avoid damaging of the motor due to overload or system breakdown. The cooling tank is the key equipment for the mechanical milking system in the dairy farms. 1. 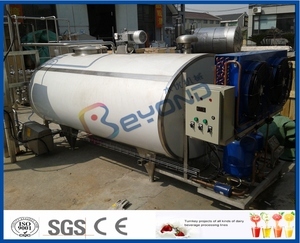 The tank wall use advanced dimple pad as evaporator exchange the heat directly with the milk inside. 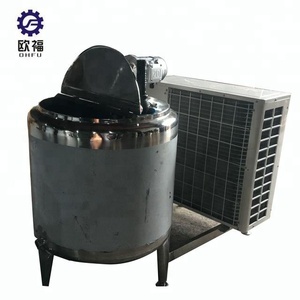 The system has reliable midpoint protection device to protect the compressor being burned resulted from the overloading or system trouble. 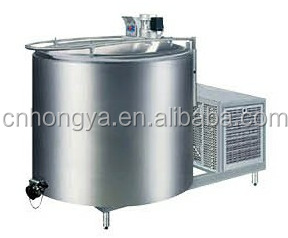 Alibaba.com offers 290 factory price milk cooling tank products. About 71% of these are dairy processing machines, 4% are storage tank, and 1% are water treatment. 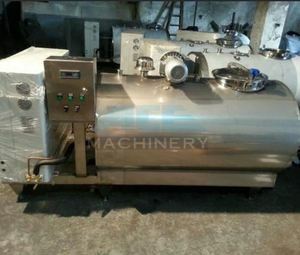 A wide variety of factory price milk cooling tank options are available to you, such as processing line, silo. You can also choose from milk, alcohol, and water. As well as from storage tank, fermenting equipment. 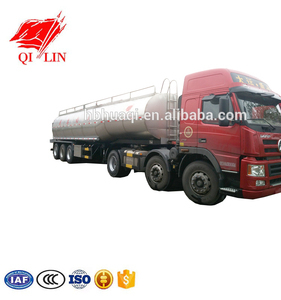 There are 290 factory price milk cooling tank suppliers, mainly located in Asia. The top supplying country is China (Mainland), which supply 100% of factory price milk cooling tank respectively. 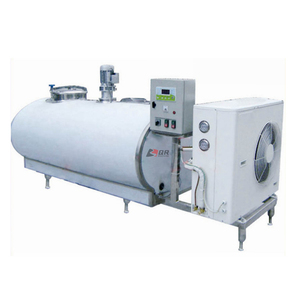 Factory price milk cooling tank products are most popular in North America, South America, and Western Europe. You can ensure product safety by selecting from certified suppliers, including 37 with ISO9001, 4 with Other, and 1 with ISO14001 certification.